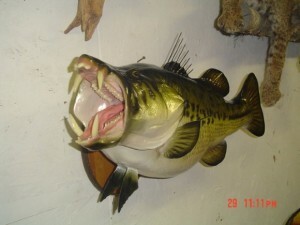 Taxidermy Gone Wrong | FISHING FURY - A Fishing Blog with Attitude! I don’t know if these have gone terribly wrong or terribly right. 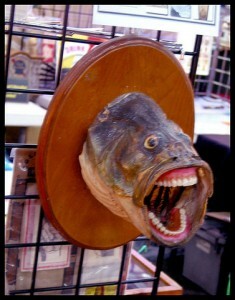 What I do know is that my lures wouldn’t last long if bass really had teeth like this! Bass #1 makes ‘Ack’ sounds like Bill the cat. Bass #2 makes sounds like a cross between Tim the tool man Taylor and howling Don Hertzfeldt cartoon. Hoyoooooooohh!! !